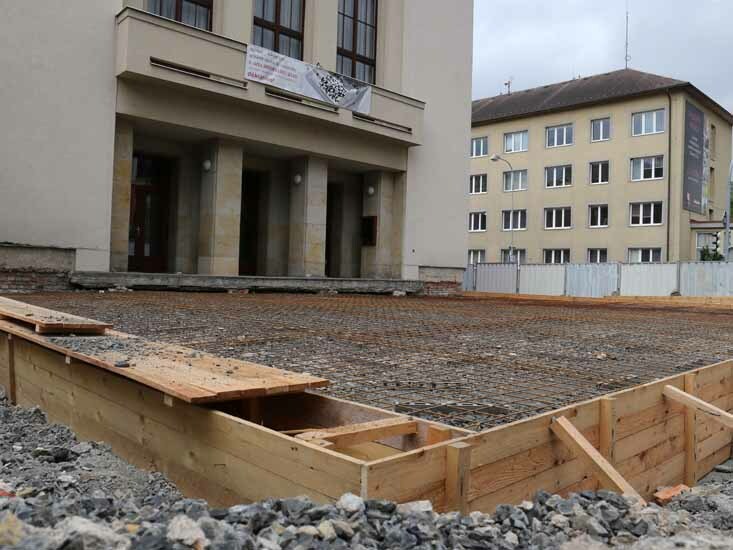 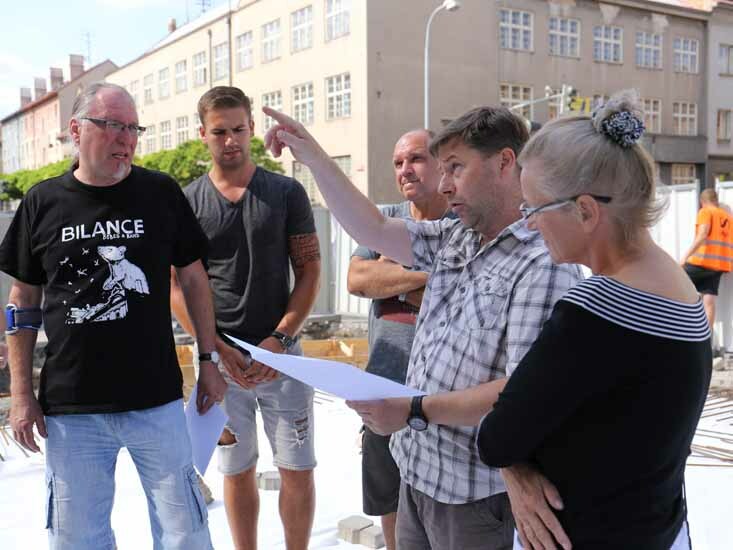 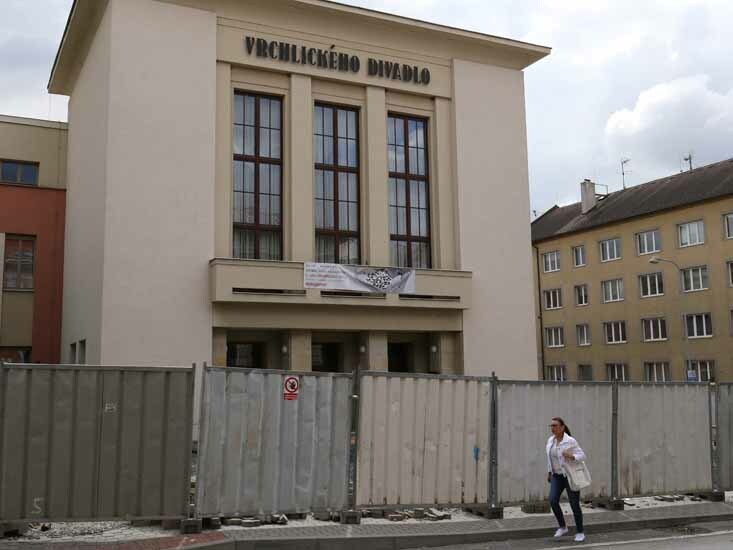 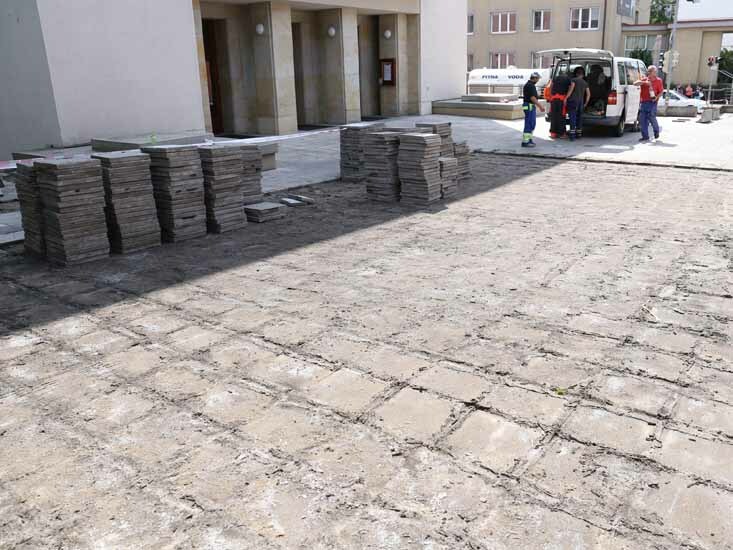 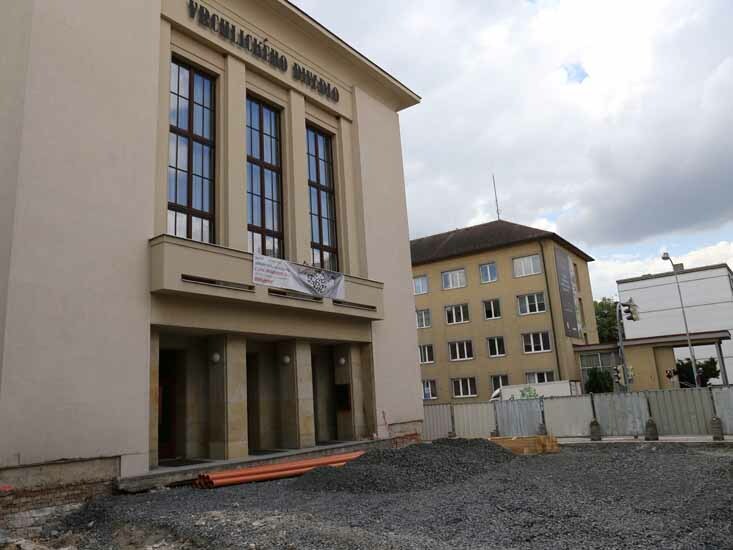 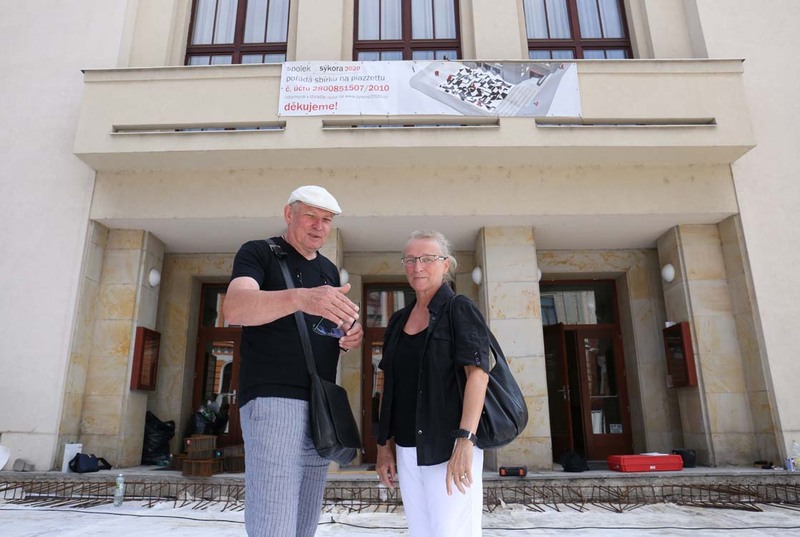 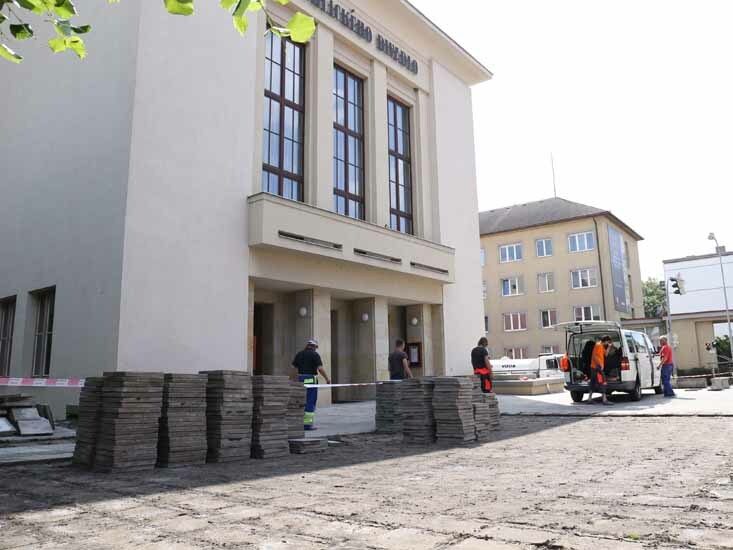 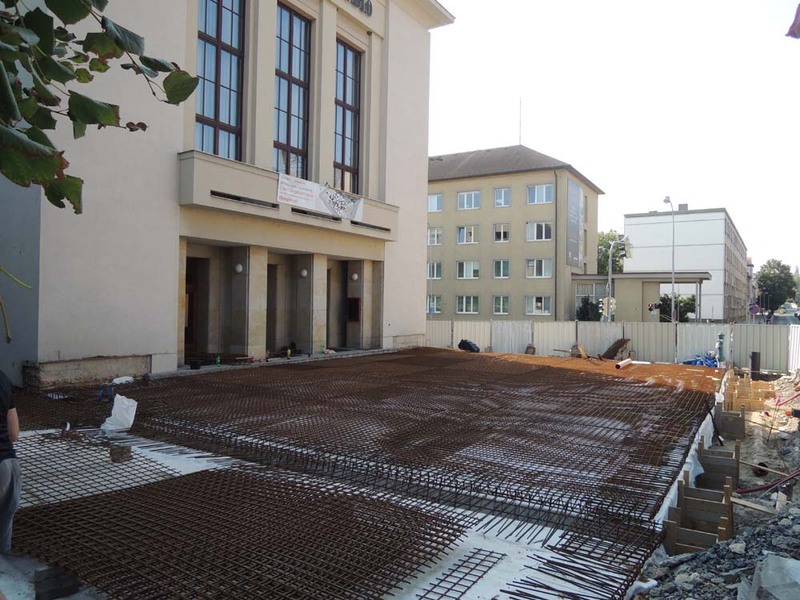 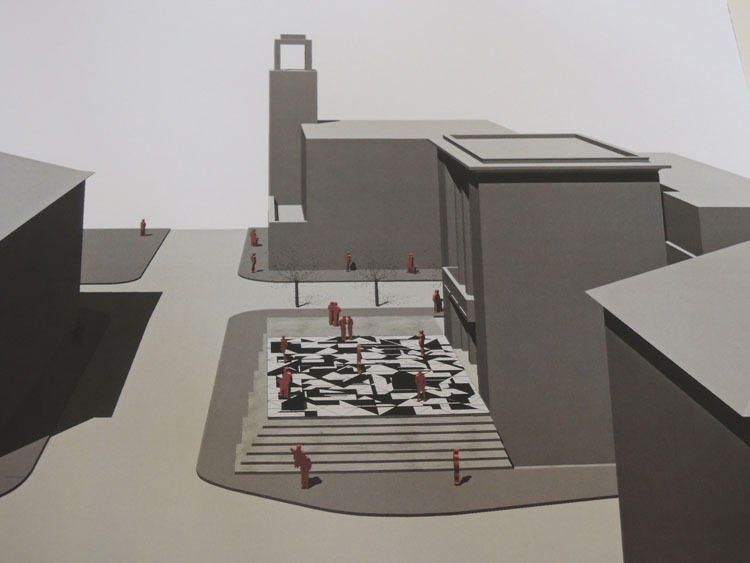 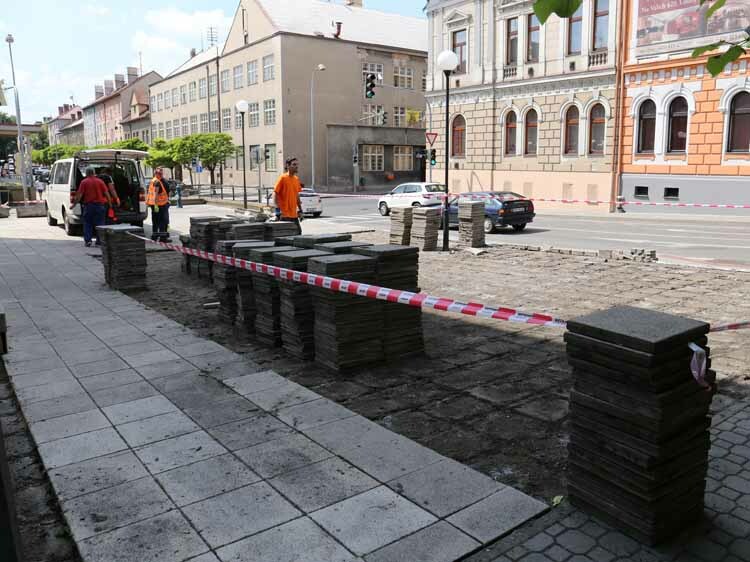 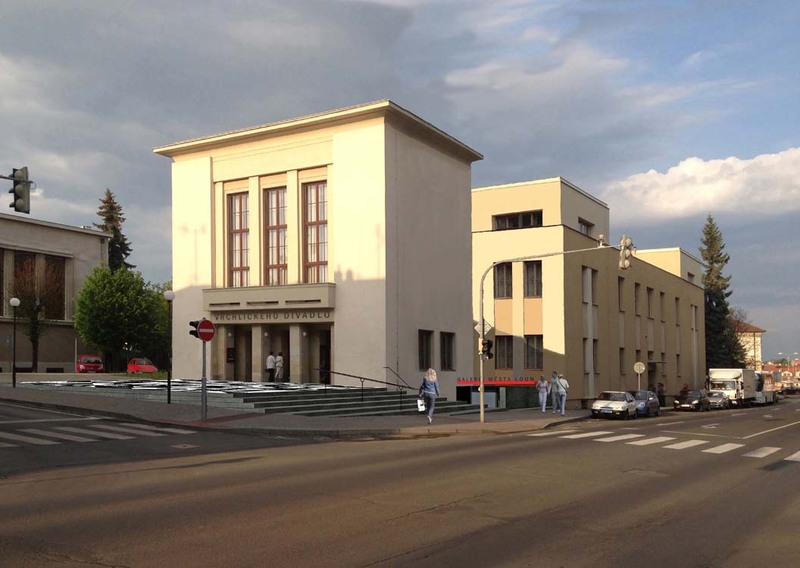 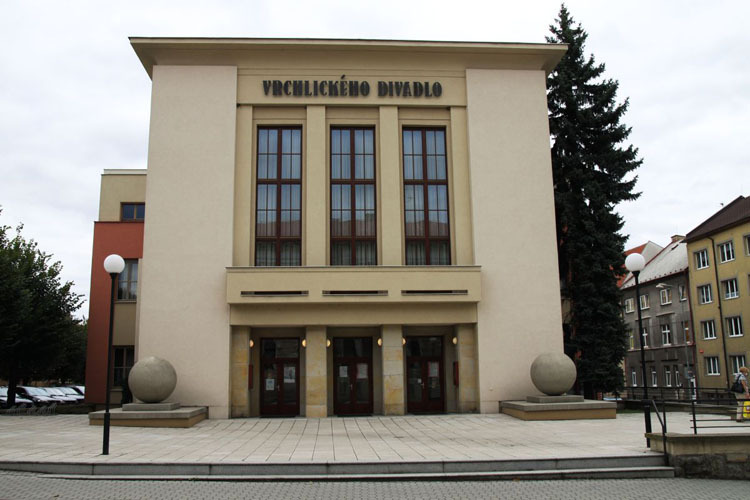 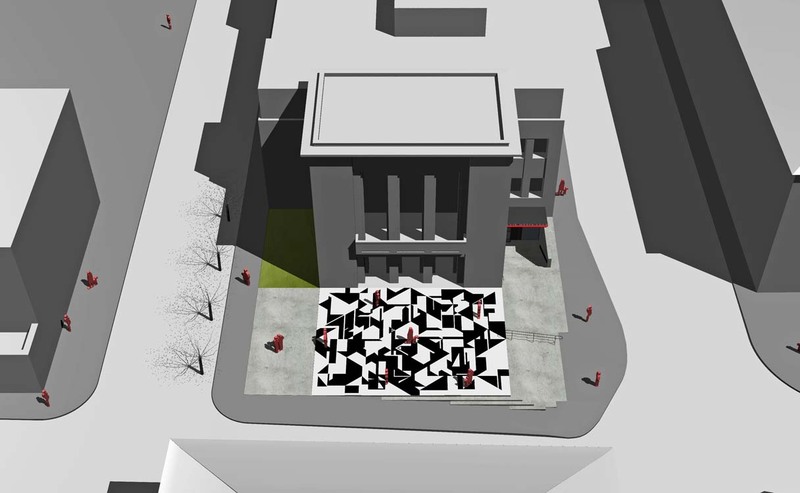 Architect Josef Pleskot, joined by Lenka Sýkorová (colaboration Andrej Škripeň), have prepared a study for redesigning the piazza in front of Vrchlický Theatre in Louny in 2014. 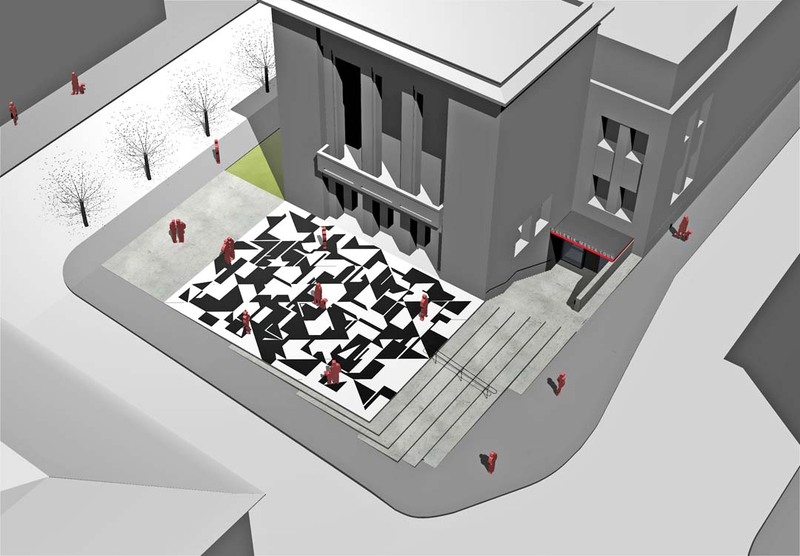 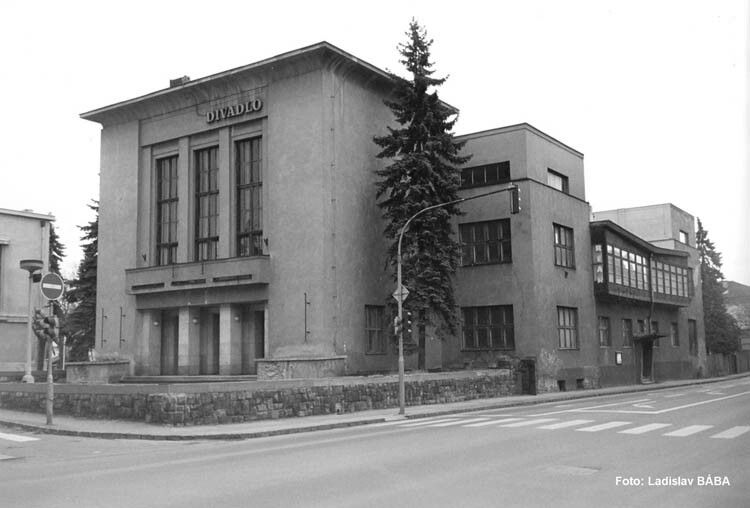 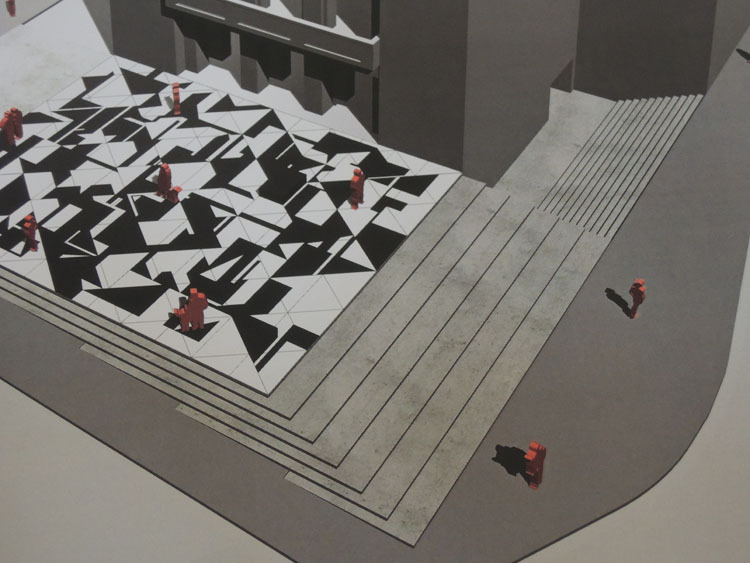 The design plans to use a black and white geometrical composition created by Zdeněk Sýkora in 1962. 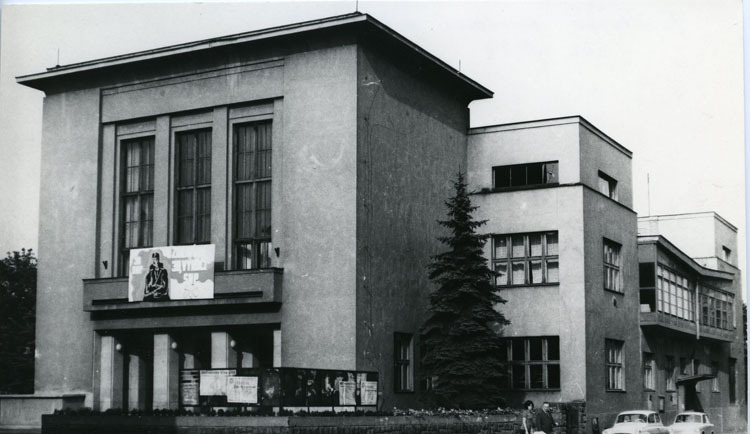 Although this composition decorated the theatre's fire curtain from 1963, now it is only known from photographs. 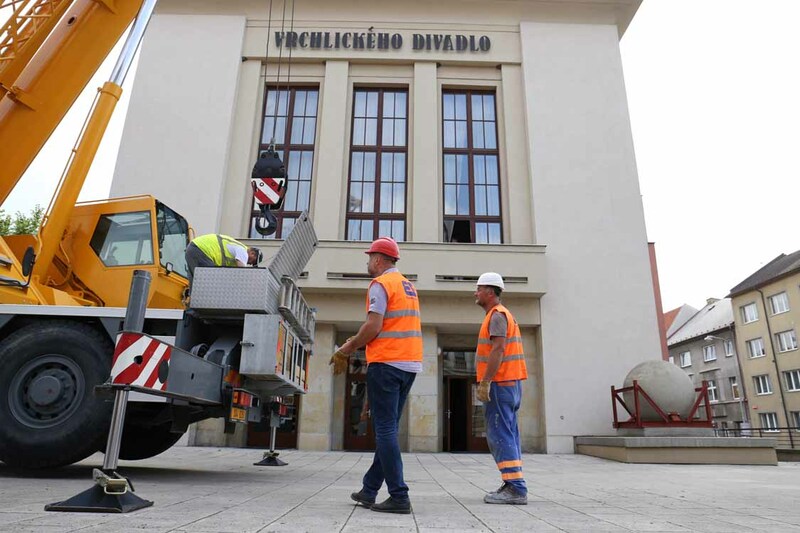 The fire curtain was lost during the reconstruction of the theatre at the beginning of the millenium. 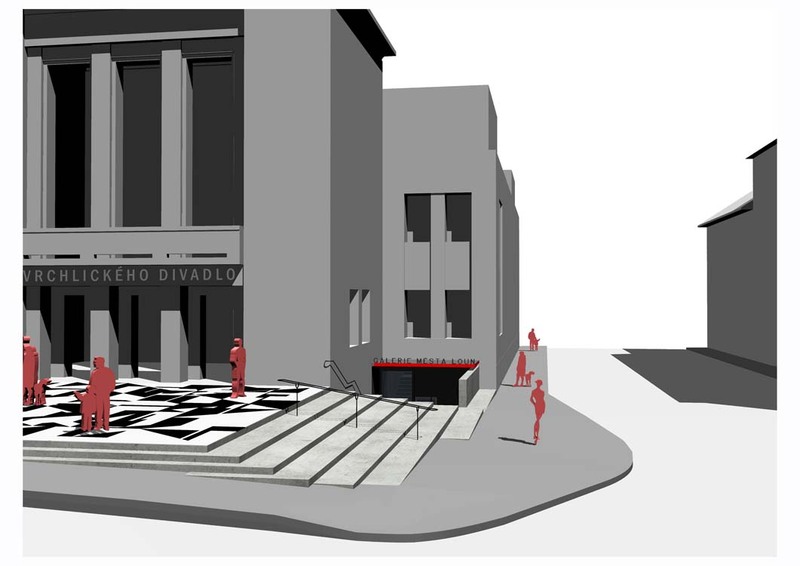 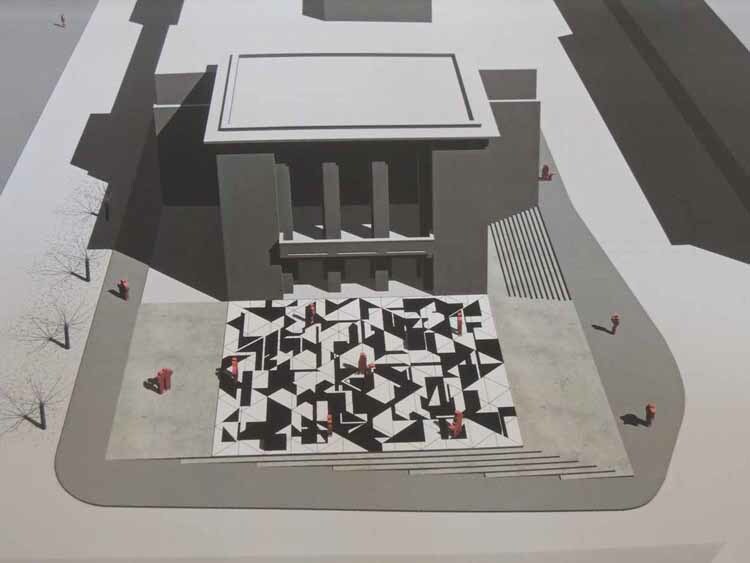 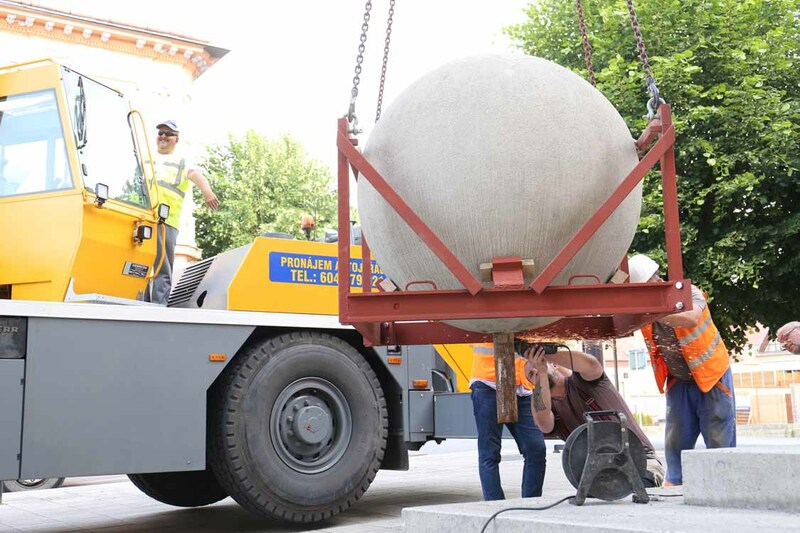 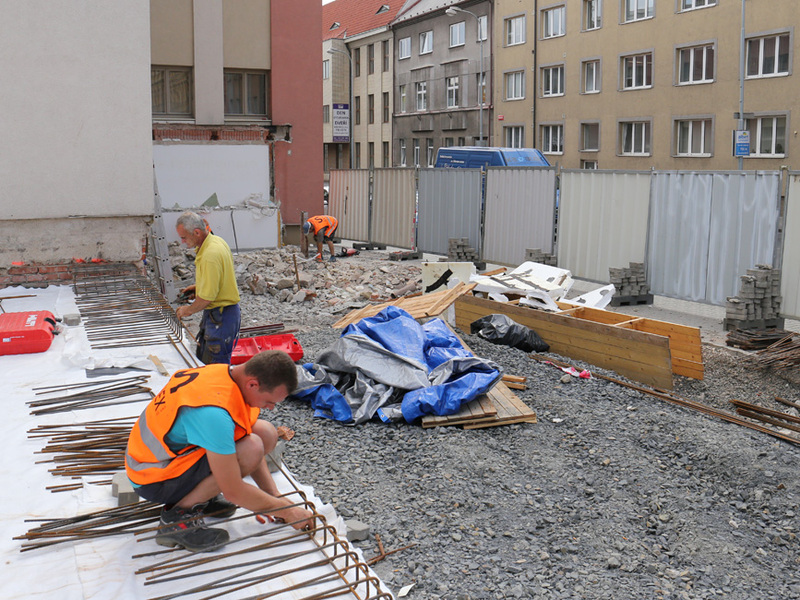 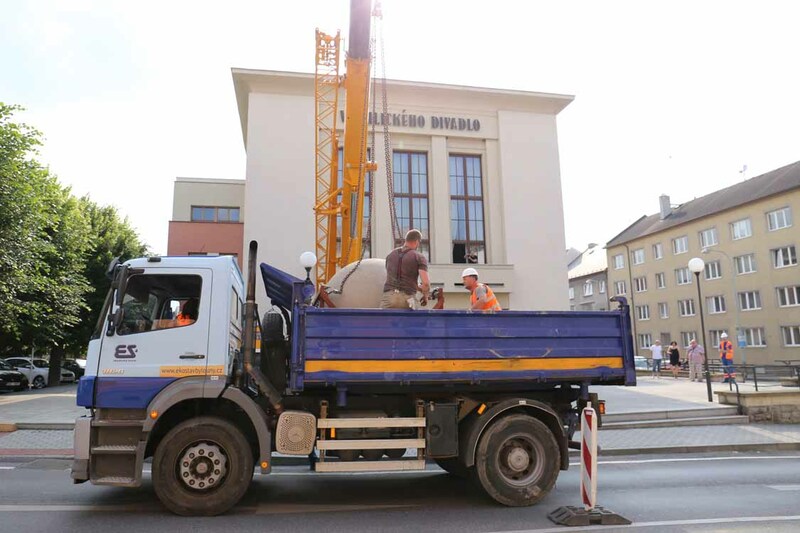 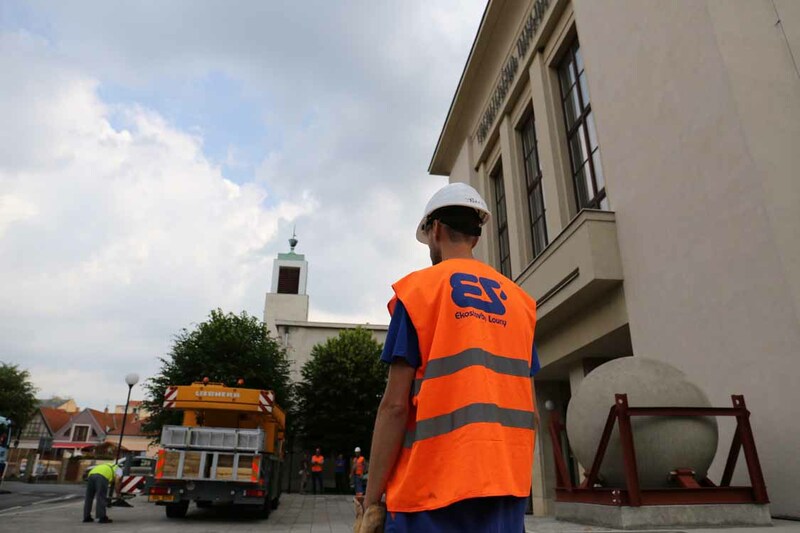 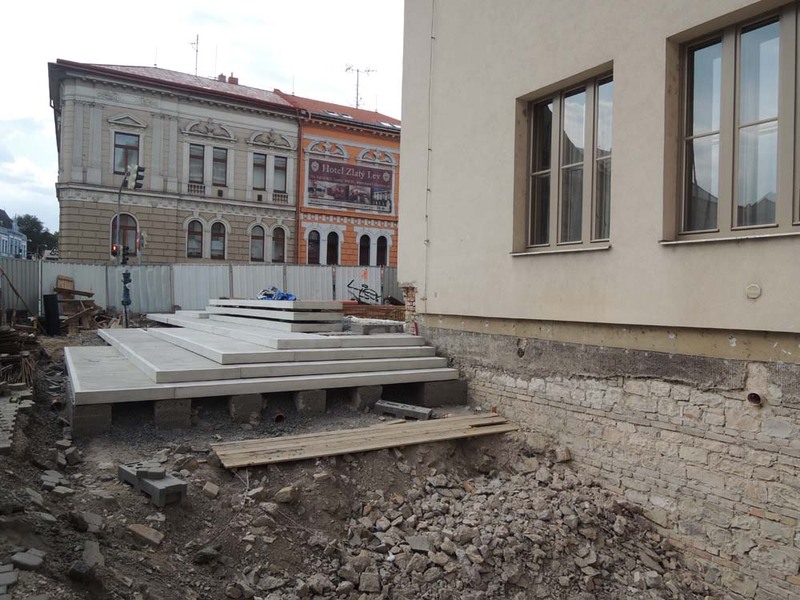 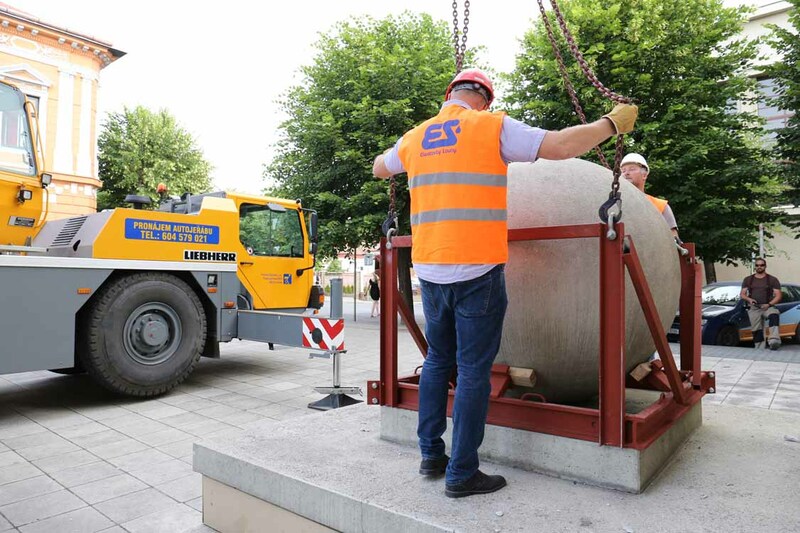 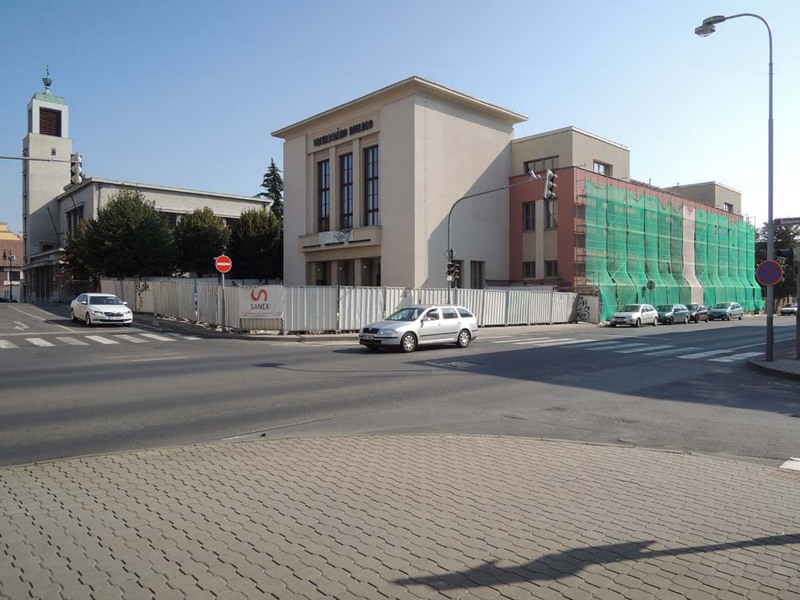 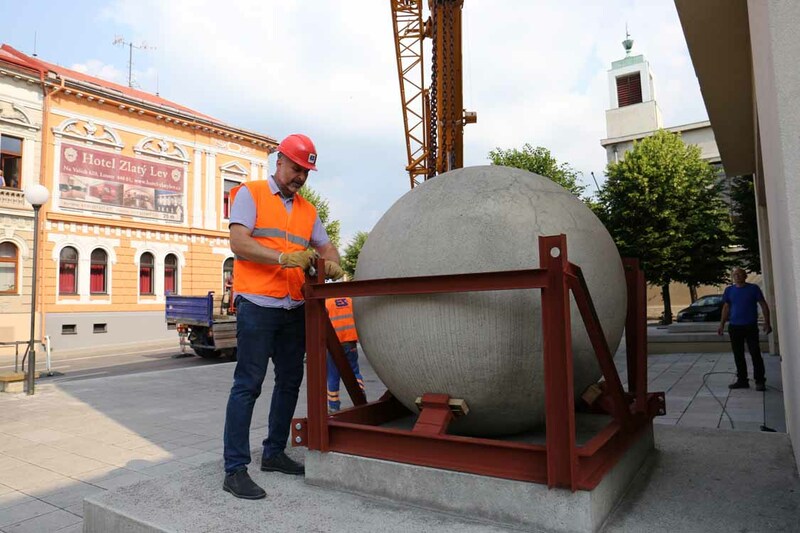 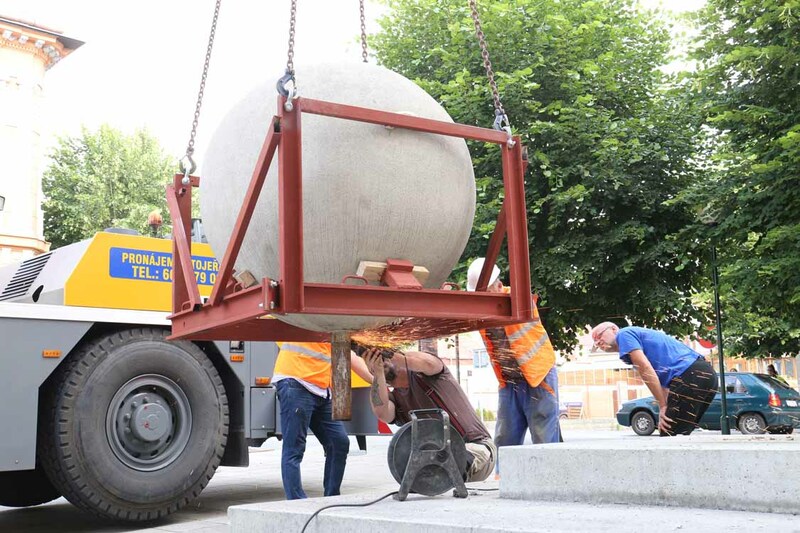 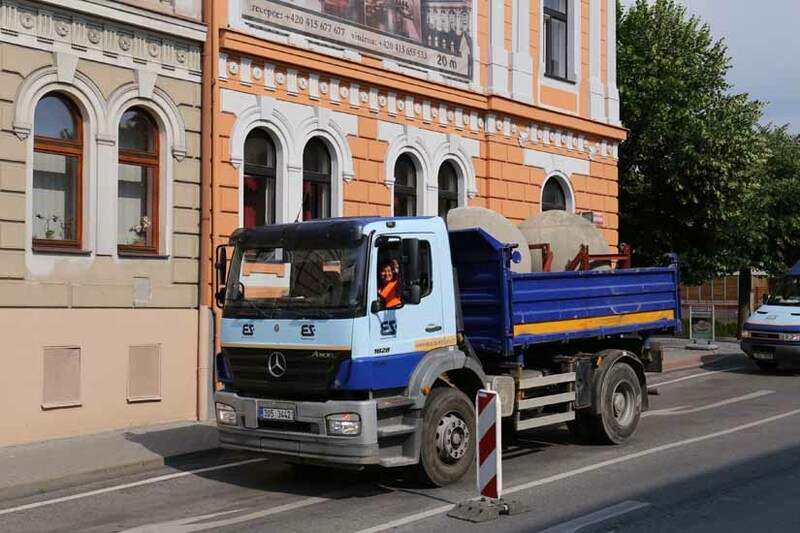 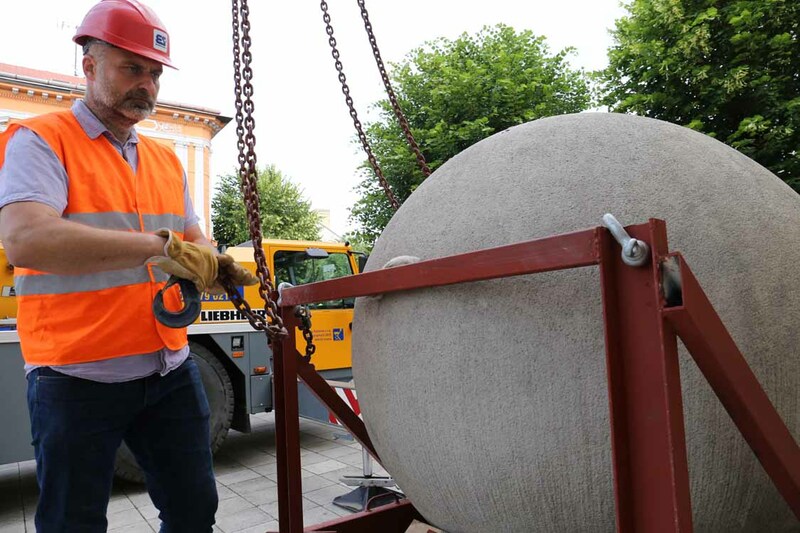 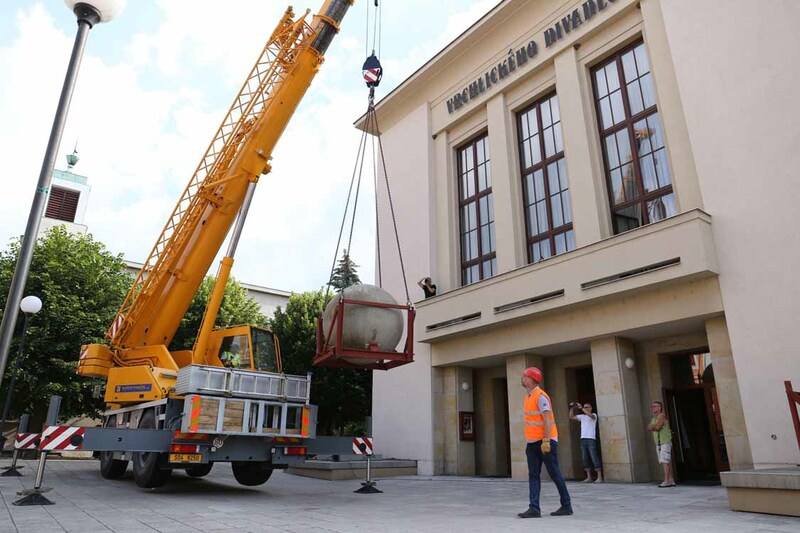 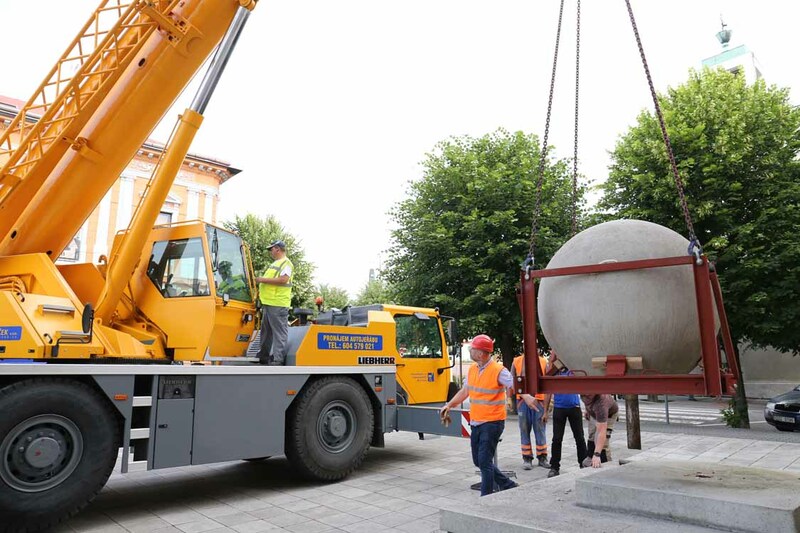 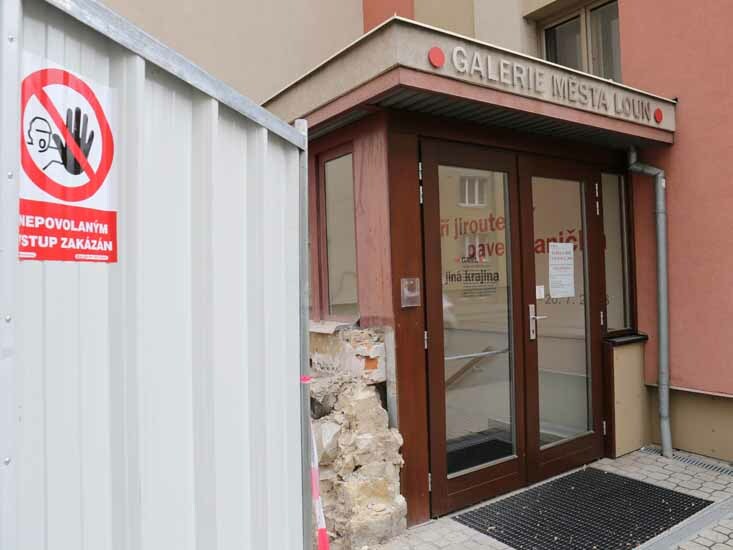 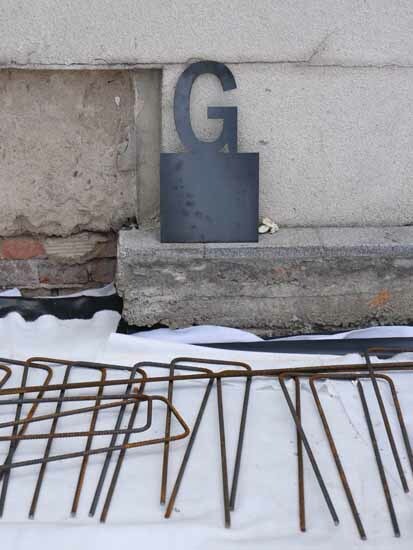 Using the composition for the piazza would symbolically return the work created by the famous Louny native especially for the theatre in front of its intended home.